Impact Investing Exchange founder and Oslo Business for Peace honoree Durreen Shahnaz, WG’95, talks about her transition from corporate finance to impact investing and the need to create more access to economic opportunities for women in Asia. 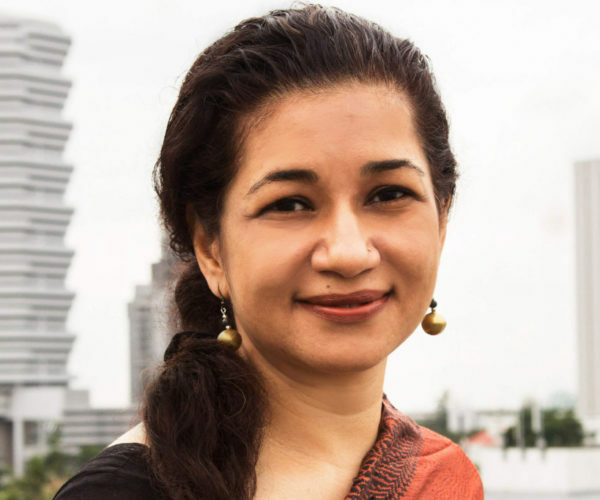 Durreen Shahnaz, WG’95, is the founder and managing director of Impact Investing Exchange (IIX), the home of the world’s first social stock exchange and a leader of impact investing space in Asia and Pacific. Over the last 8 years, IIX has created an effective social capital markets in Asia unlocking millions of dollars of private sector capital for indirect investment into organizations that impact over 10 million lives. Durreen also founded IIX Foundation, which focuses on program management of grant-funded projects. Together, the work of IIX and IIX Foundation has spanned over 20 countries in Asia Pacific. Durreen began her career at Morgan Stanley, and worked at Grameen Bank, the World Bank, Merrill Lynch, Hearst Magazines, and Reader’s Digest. In addition, she founded, ran, and sold oneNest, an Impact Enterprise and global marketplace for handmade goods. Durreen is the 2014 recipient of the prestigious Joseph Wharton Social Impact award, 2016 recipient of the Asia Society’s Asia Game Changer Awards, and 2017 recipient of the Oslo Business for Peace Award. How did you come to found the Impact Investing Exchange (IIX)? The inspiration to found IIX and my broader commitment to doing good through business are inspired by my roots. I grew up in Bangladesh — a post-war country that was, at the time, reeling from famine. My experience watching the country struggle to get back on its feet — both economically and politically — inspired me to be defiant about finding the source of self-sufficiency and financial sustainability at every level of development. Thus began my search for a unique way to build a more equitable society. This search led me to work at Morgan Stanley as the first Bangladeshi woman on Wall Street, to explore microfinance at Grameen Bank, as well as to become a social entrepreneur and start three of my own companies. In 1999, I created my first impact enterprise, oneNest—a global marketplace to sell handmade goods. I realized that in creating this enterprise, it was merely a tree falling in a forest. In order to achieve true systemic change, I needed to fill critical gaps in the ecosystem and help link artisans in marginalized communities to the global marketplace. After the financial crisis, a group of thought-leaders and I participated in a conference hosted by the Rockefeller Foundation in Bellagio, Italy where we began conceptualizing impact investing and how to harness the power of capital markets for good. Following this conference, the Rockefeller Foundation offered me the support to begin IIX and spearhead the impact investing movement from Asia. Hence, IIX was founded in 2009 and boldly began building the foundation for inclusive markets worldwide. What are some unique services that IIX offers? What many people don’t realize is that the work of IIX permeates across the entire social capital markets value chain. IIX sees its duty as helping social enterprises refine their business models and impact strategies so that they can best absorb growth capital and be sustainable businesses that can attract investments. Working with a network of over 1,000 investors, IIX helps mobilize and channel investment capital—leveraging its closed fund and equity crowdfunding platform—into high-impact enterprises. To build the ecosystem and fill critical gaps in sustainable development, we have also developed innovative finance instruments to make capital more accessible to those at the margins. We accomplish this through our advisory, technical assistance, and impact assessment services, which are available to enterprises at various stages of growth. As for investors, IIX allows for this group of ecosystem players to participate in the space through our Impact Partners private placement platform, innovative bond structures, and growth fund. Our Impact Partners platform to date features over 1,000 accredited investors and has closed over 30 deals. Additionally, IIX’s ground-breaking Women’s Livelihood Bond is the first debt security of its kind that seeks to unlock millions of dollars of investment capital for high-impact enterprises and microfinance institutions, empowering the lives of over 360,000 women. Listed on the Singapore Stock Exchange, this bond is the first in a series of ground-breaking IIX Sustainability Bonds (ISBs)—innovative, liquid, and publicly listed financial instruments that seek to bridge the current gap between sustainable development and finance. Finally, the IIX Growth Fund (IGF), which launched this year, is a US$50 million equity fund that works with its portfolio companies to make direct investments into enterprises that seek to strengthen communities’ resilience to climate change and empower women across Asia. How did your former experiences in capital markets and corporate finance shape your interest in impact investing? My various professional experiences in corporate finance at Morgan Stanley and trading Brady bonds at Merrill Lynch brought to light in different ways how the existing traditional financial system had incredible power to do good, but was not inclusive and kept countless communities across the globe both marginalized and trapped in poverty. While my years working on Wall Street helped me gain greater expertise in finance and investment, I desired to look beyond profit maximization in pursuit of bridging the gap between finance and development. Motivated to make markets work for the poor and bring about sustainable development to those at the margins, I returned to Bangladesh and worked at Grameen Bank. Here, I began exploring how to create systematic change and bring private sector dollars into the traditionally donor-reliant field of development. While microfinance was crucial in giving millions of individuals across the world access to finance, I still detected critical gaps and a weak conscience in the existing financial system that prevented countless populations from escaping poverty and achieving sustainable growth. This is where the inspiration came to push the boundaries of finance by creating IIX and bringing impact investing mainstream. In your opinion, what are the biggest untapped impact investing opportunities you see in Asia? While Asia has achieved remarkable economic growth over the years, one in ten people remain trapped in extreme poverty and millions face significant social and economic barriers to opportunity. There is opportunity here for impact investing to build inclusive markets and create access to affordable healthcare, education, renewable energy, and financial services across Asia. One of the markets which Asia has much opportunity to further tap into is women. Women have the potential to add as much as $28 trillion to the global annual GDP if included equally in labor markets, and Asia is one of the regions which would benefit most from closing this gender gap. The region has much opportunity to harness market power using impact investing to create access to economic opportunities for women. It is time that we transform our region’s view of women as victims to solutions for sustainable development, and we can utilize impact investing here in Asia to do just that.